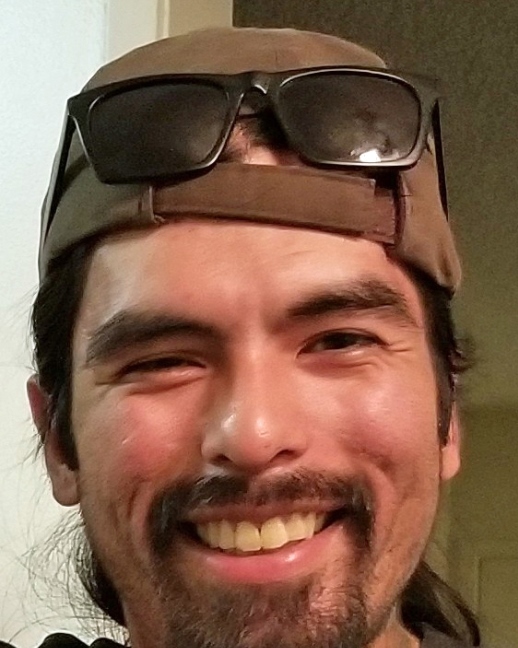 Madera, CA- Our loving and adventurous father, son and brother, Joseph A. Rodriguez, age 28, unexpectedly passed away February 1, 2019 in Monterey County California due to a car wreck. He was born September 13, 1990, in Madera, California, the son of Cleo Rodriguez. Joe loved his work as a chef in the resort industry because it allowed him to express his artistic side and he enjoyed making others happy. Joe was a free spirit who enjoyed spending time outdoors. He liked hiking, camping, hunting and fishing, and traveling wherever adventure took him. You might say he “walked the road less traveled”. He loves his family and always made them his priority, especially his children, Beyah and Joseph, Jr. He is preceded in death by his daughter Mia Unique Rodriguez, and his grandfather, Luis A Rodriguez. Joe is survived by his son Joseph Anthony Rodriguez Jr., daughter Beyah Monique Rodriguez, mother Cleo Rodriguez and stepfather Gilbert Sanchez, brother Raymond Luis Rodriguez and sister Noemi Elizabeth Rodriguez, step-sisters Lacey Sanchez and Jessica Sanchez, step-brother Gilbert Sanchez Jr., grandmother Naomi Rodriguez, uncle Luis Rodriguez Jr. and his wife Helen Rodriguez, uncle Joe Rodriguez and his wife Cristine Rodriguez, cousins Amanda Evans, Alyssa Rodriguez, Estevan Rodriguez and Joe Rodriguez Jr. He is also survived by his best friend and loyal companion “Mary Jane”. A Celebration of Life will be held for Joe on Wednesday February 13, 2019 at Jay Chapel in Madera, California. Family requests donations be made in Joe’s name to your local ASPCA.